According to the British Heart Foundation, biking for about 20 miles a week lowers your risk of cardiovascular diseases by 50 percent. The foundation explains that if you want to build your cardiovascular fitness, you have to spend at least 150 minutes on the bike every week. To achieve this, you can opt to ride cycle to work for several days every week. Alternatively, you can take short cycling trips during the week and take a longer ride at the end of the week. If you keep on with this schedule, you will soon start enjoying the full benefits of biking. In a world where sedentary life style is wreaking havoc on people’s lives, cycling is a life saver. Pensioners, toddlers, people with disabilities and able-bodied people can all get on their bikes and enjoy hitting the tracks as long as they have the right gear. 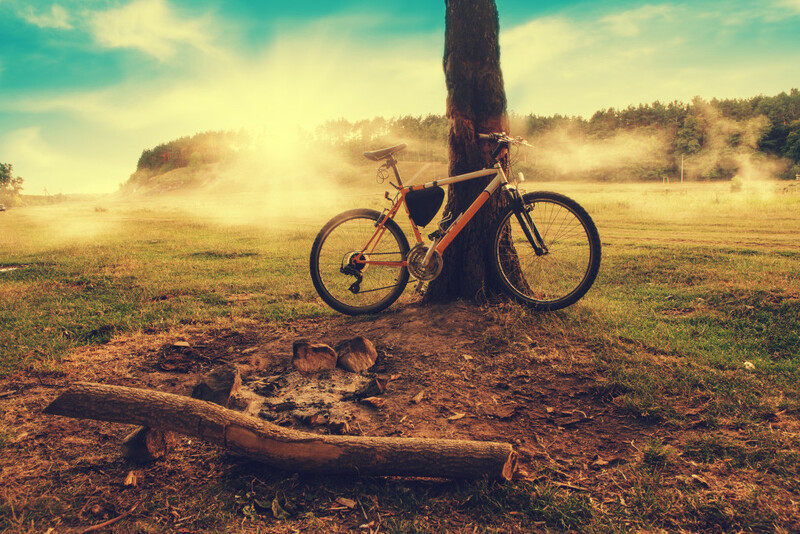 Unlike most forms of exercise, cycling is quite easy to fit in your daily schedule either as a means of transport or for recreational purposes. This approach is highly economical, keeps you fit and is good for the environment. Since biking is considered a low-impact form of exercise, it highly recommended for people who are having mild joint complications as it is more forgiving compared to running. Though it is a low-impact form of exercise, it is as beneficial as high-impact types of exercises. Out of the saddle riding or mountain biking is an excellent full body form of exercise. When you are climbing, you keep shifting your weight; as a result you work every part of your body and enhance core stability. This is one of the interesting facts about cycling that most people who spend a fortune on various anti-aging products have never thought about. Studies show that people who bike regularly generally look younger by about 10 years unlike people who do not. Cyclists are able to finely tune their levels of exertion compared to any other type of exercise. Using gearing, speed, hyper gravity and wind resistance training can help you to customize your level of exertion to meet your current fitness objectives. Though most people only think about physical health when they are considering biking, cycling is also good for the brain. There are many psychological and mental benefits of biking that are legitimate but are normally ignored. In a world that is usually stressful, people are always seeking for ways to take a break from the daily hustles and get rejuvenated. Cycling has been shown to be one of the ideal methods of relieving stress. Studies show that biking can reduce many forms of mental disorders including depression and anxiety. 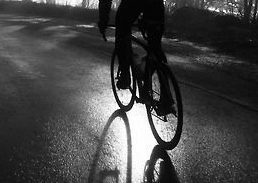 The sheer enjoyment of cycling is usually enough to put your mind at ease from the daily drama and anxieties that weigh heavily on your mind. Riding helps people to stimulate their creative juices. Musicians and artists turn to biking when they encounter a problem that requires out-of-the-box solution. Surprisingly, most of them claim that they are able to enhance their problem solving ability during the ride. Riders usually get their biological clock in sync by biking regularly. In addition, cycling assists in lowering the concentration of cortisol in the body. Cortisol is the stress hormone that is responsible for keeping you from falling into deep regenerative sleep. The Boneshaker was made in 1868 and weighed 80 kilograms. It featured wooden wheels, an iron frame and rims-all these made for a very smooth ride. The boneshaker was the pioneer of racing bikes and in the same year, a bike race was held. Initially cycling was very popular, however as the automobiles gained popularity, riding became more risky and attracted less people. In the early days, biking was much harder than it is today. Before 1840, bikes did not feature cranks until a Scottish blacksmith, Kirkpatrick, made a new contraption with iron rims and cranks. Though his bike was not a success, it ushered in a whole new way of riding. Before Macmillan’s came up with cranks, you had to kick yourself forward in order to get moving. John Howard, an American is credited with cycling at 250 kilometers per hour, the fastest speed ever achieved on a bike. He was foolish enough to ride at this speed in the slipstream of a specially designed vehicle. Good enough, he survived to tell the tale. 15-20 standard size bicycles can be parked in the same space used to park a single car. This means that there would be more space and less crowding if everyone decided to ride their bikes to work. The bike is the most efficient means of transport ever devised by humans. When cycling, you expend fewer calories per kilo per kilometer compared to a car, truck or a motorbike. On average, Americans ride for every 1 trip out of a 100 trips, while the Dutch cycle 30 times out of a 100.If Americans doubled their use of bicycles, they would save about 3.5 billion liters of fuel every year. The above are just some of the interesting facts about cycling. These show that though the bike has been with humans for years, there is more to this 2-wheeled mode of transport than meets the eye. Though most people still frown at using bikes compared to cruising in automobiles, cycling is still a great and healthy way of getting around.